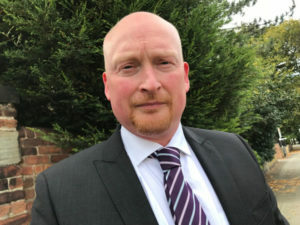 One of the real costs of austerity is the toll it is taking on officers’ mental health, according to West Yorkshire Police Federation Chairman Brian Booth. With eight years of cuts to the police service leading to fewer officers and no further money announced in the latest Budget, those officers who are left are working longer and harder. Brian said: “The real cost of austerity is the fatigue imposed on our frontline officers. Those who joined only to serve the public are tired and fatigued, and there is no end in sight. “It’s a lonely place, with the Government openly attacking the service in the media. Overworked officers are feeling the pressure so much that they turn on their colleagues. “Police families are being torn apart because their loved ones are away from home, and relationships are breaking down. “It’s a mental health ticking time bomb. We in West Yorkshire Police Federation supply a counselling service from our offices. We currently have counsellors working five days a week with demand for their services. “On top of this, we have a waiting list of 25 officers waiting for their first appointment. This is a red flag that should not be ignored, especially bearing in mind there are plenty more who would benefit from the service. “We also have great support from other charities, in particular David Rathband’s Blue Lamp Foundation, which helps officers with PTSD. “I have worked with them over the past couple of years and I thank them for their prompt help to my colleagues who are in the depth of despair. “There has been some good news lately with the legislation that comes into effect to protect our frontline workers from assault. I would like to thank the public and politicians for the support they gave in the Protect the Protectors campaign. “Please continue to support your local police and understand that they want to get to everybody who calls upon them for help, but unfortunately they can’t.